The American Institute of Architects has awarded the University of Arkansas Community Design Center a 2017 Institute Honor Award for Regional and Urban Design for a tornado recovery plan it recently developed. The plan, titled “Reinventing Vilonia,” was created in response to the devastating EF4 tornado that struck Faulkner County on April 27, 2014. It was the nation’s deadliest tornado that year, killing 16 people and destroying over 400 homes. Steve Luoni, director of the Community Design Center, said tornadoes have set new records for frequency, devastation and wind speed in the past 15 years, and meteorologists now believe the only safe refuge is below ground. “This reinvention plan begins with the urbanization of safety – a strategy to create an underground safe room network that can be used in other middle-America towns in tornado alleys,” said Luoni said. 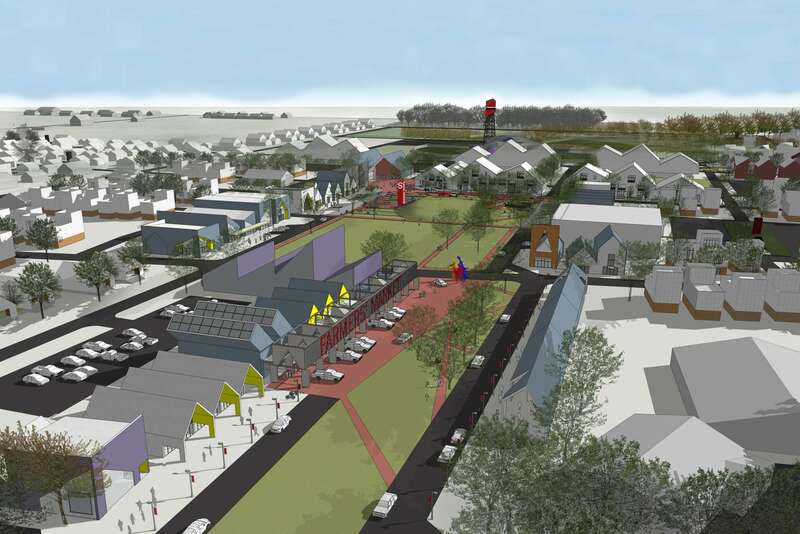 The plan, which requires the development of a new town center to bring people together, combines safe room infrastructure with a park system along a new town loop. Read more about the award and plan at news.uark.edu.